Junior Madison Maloney receives a prestigious Goldwater Scholarship. 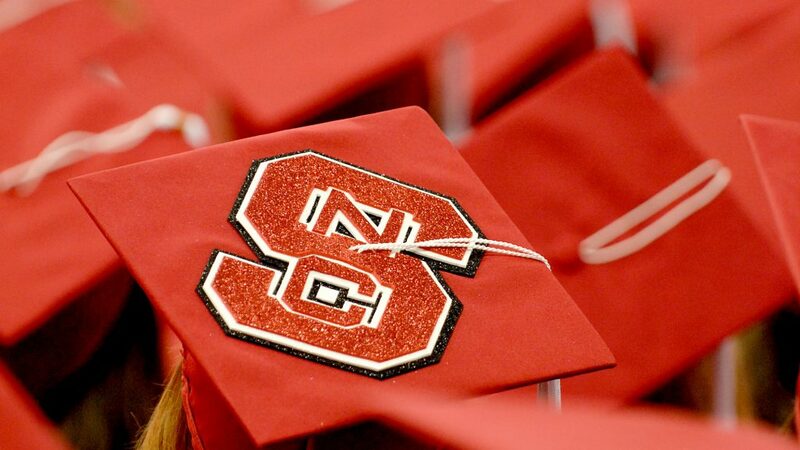 Photo courtesy of Alsace Gallop, NC State University. 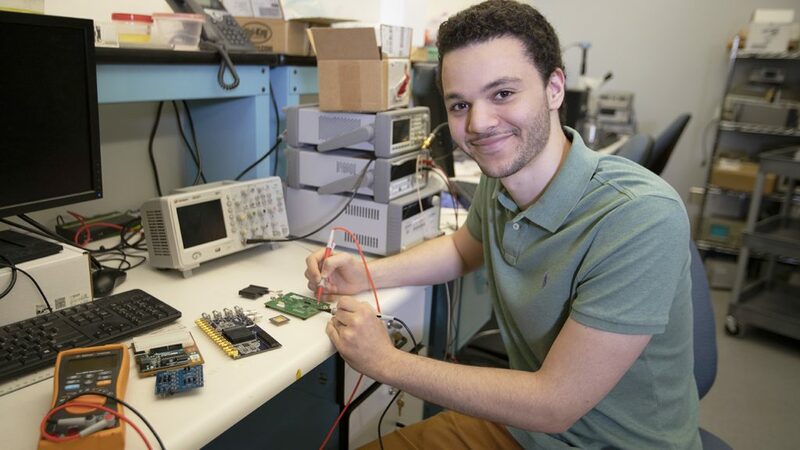 Distributed by The Barry Goldwater Scholarship and Excellence in Education Foundation, the award includes up to $7,500 annually in eligible education expenses for college sophomores and juniors currently studying the natural sciences, mathematics and engineering in the United States who have potential to conduct research and plan to pursue research careers in those fields. Maloney was one of 211 students selected from an applicant pool of 1,280. Maloney is a Park Scholar and is part of the University Honors Program. She was selected as a 2017 Astronaut Scholar and intends to earn a Ph.D. in aeronautics and astronautics, with the goal of conducting research on human space exploration systems at either NASA or a national lab. 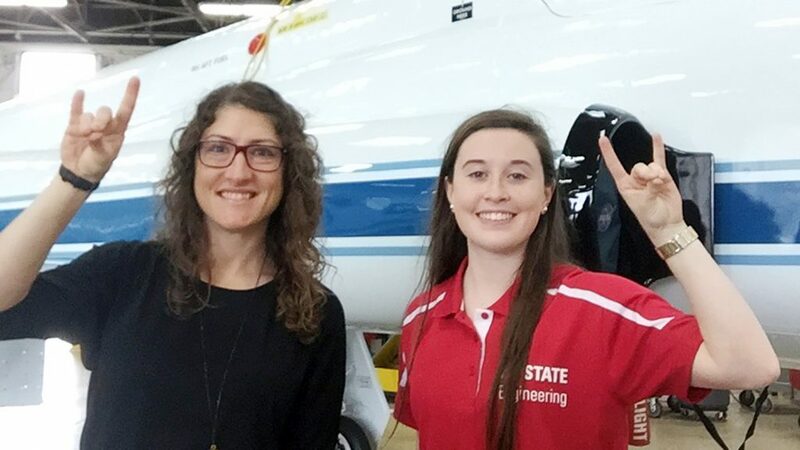 Maloney has conducted research under the mentorship of Professor Scott Ferguson in NC State’s Department of Mechanical and Aerospace Engineering. 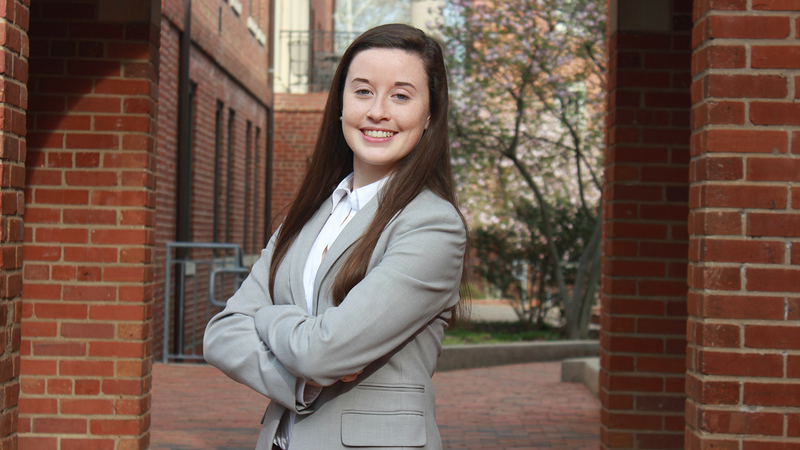 She is an engineering ambassador and serves as director of the Student Government Athletics Department. She is also treasurer for the campus chapter of aerospace honors society Sigma Gamma Tau. More information about Maloney’s award and the university’s Fellowship Advising Office, which helps students apply for more than 80 competitive awards, is available. Congratulations, Madison! Student Involvement is proud of you. Just another way you are contributing to the Wolfpack. Cheers!